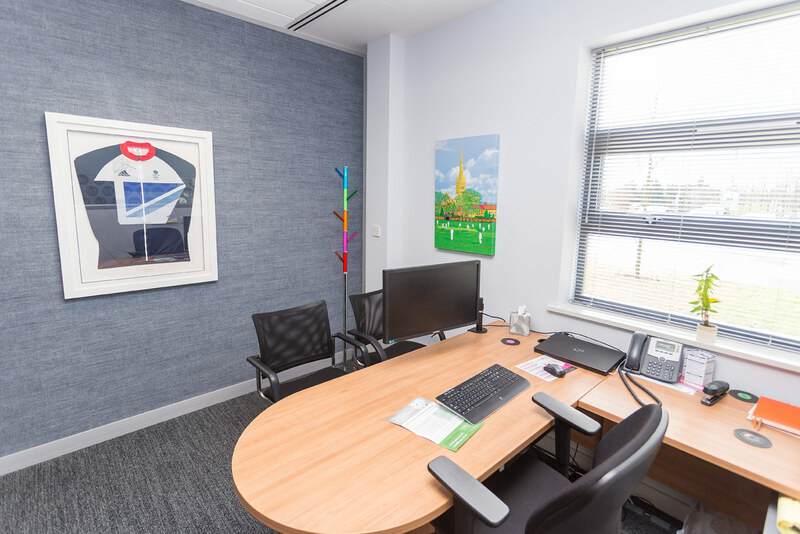 Loveday & Partners is a leading provider of individual investments in Norfolk, based on the Broadland Business Park, to the East of Norwich. Providing both financial advice and share dealing, they truly are a one-stop shop for personal investment. 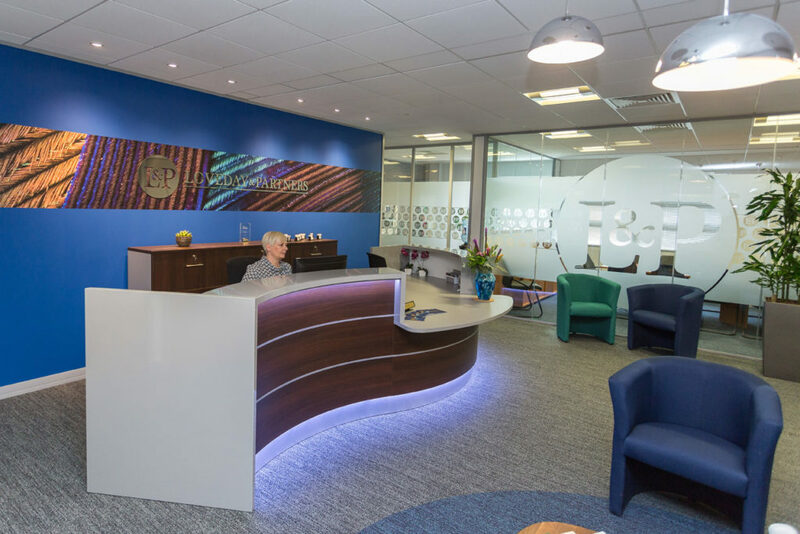 We were asked to deliver a full creative office design, fit out and furniture project for their modern office space, including their reception. 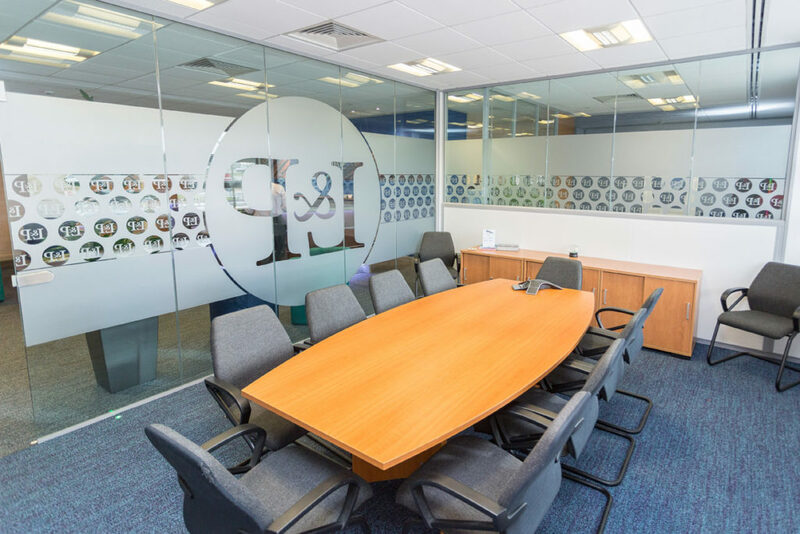 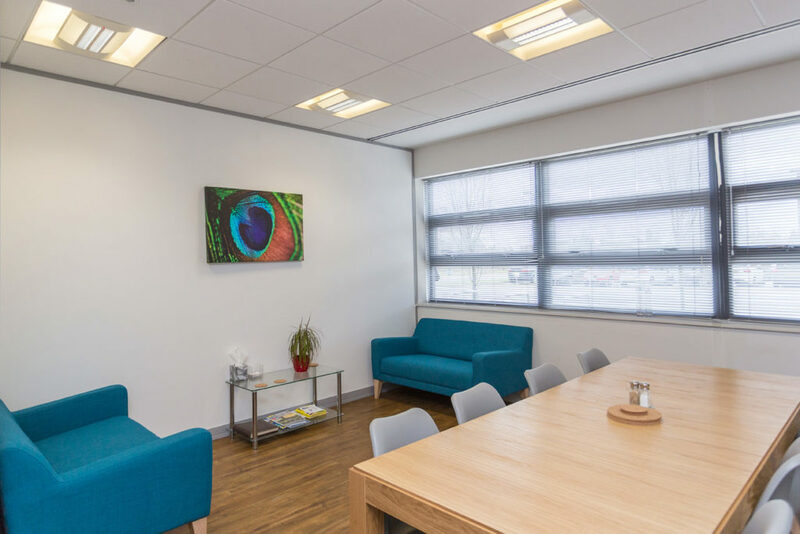 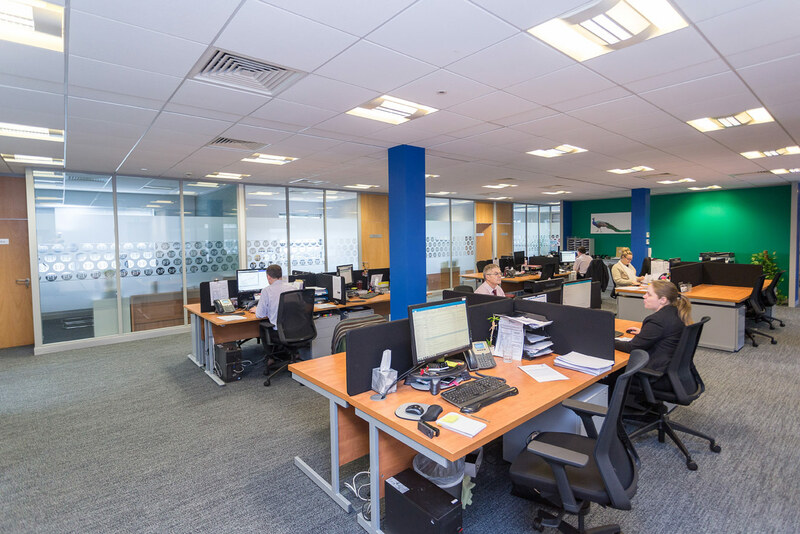 When carrying out our procedure for office space planning, we decided on an open plan office space which incorporates their bold peacock inspired branding, along with meeting space separated with branded glass panelling to enhance the natural lighting. 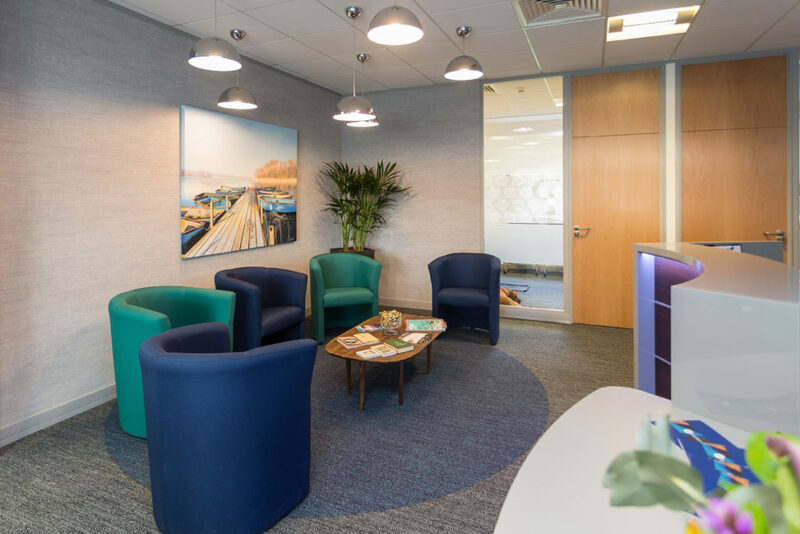 The sophisticated design of the reception space showcases their professional and creative approach to the investment work they undertake, whilst creating a welcoming area in which to greet their clients and business partners. 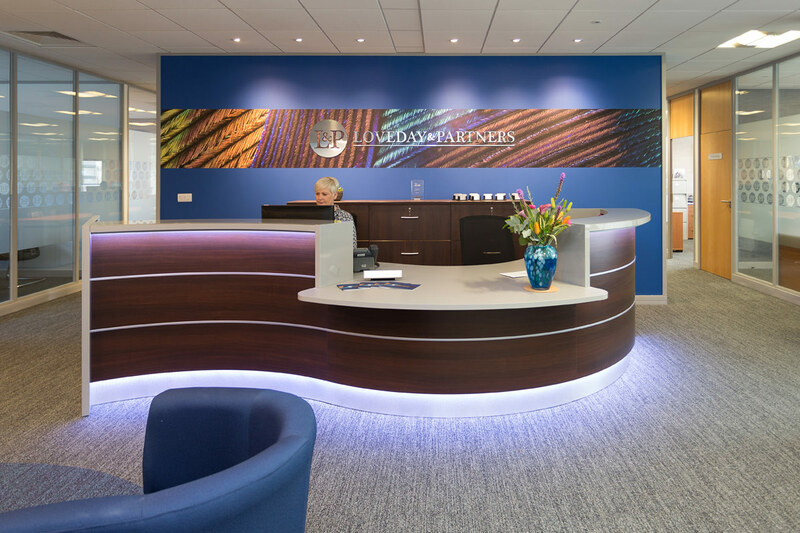 Again, the colours chosen reinforce the bold branding of the business, creating a first impression to really impress. 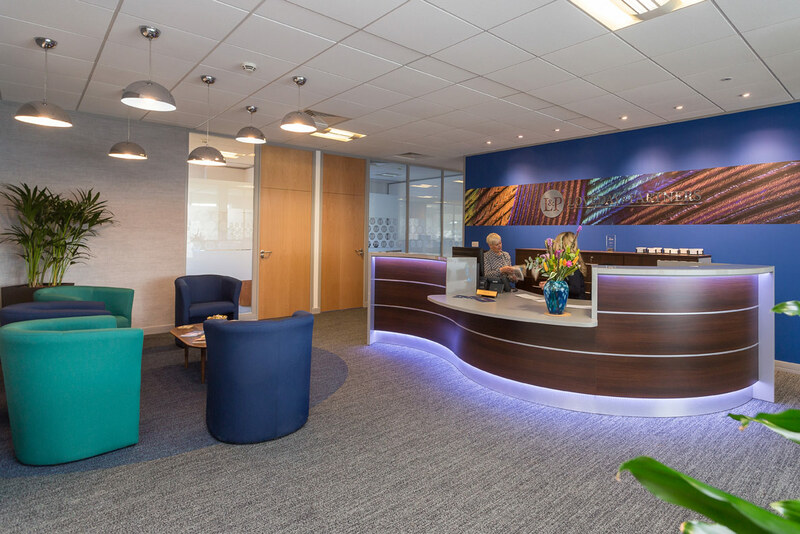 Loveday & Partners are pleased with the blend of open and private spaces we have created and their unique reception design which is sure to catch the eye of their visitors.